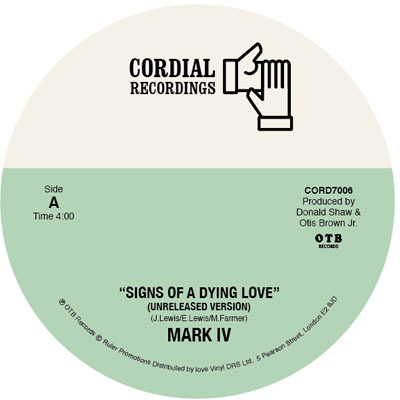 Our sixth release is two previously unreleased versions of ‘Signs Of A Dying Love’ with the A side being much slower in tempo than the vinyl release on OTB Records. Whilst on the flip the song appears to be the same as the OTB records version, but without the spoke rap at the beginning. This is a timeless piece of soul music that deserves a wider audience. Release date 29th January 2017.